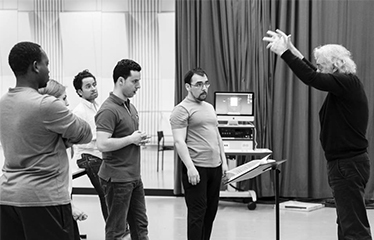 The Dutch National Opera organises a development programme for young artists with the potential to be successful in the world of opera. The programme was developed because it became apparent that young opera singers, directors, conductors, theater designers, coaches & repetiteurs and dramatists have difficulty in connecting with professionals in the field after completing their training. The programme includes workshops and a series of six operatic productions were performed in the period 2014-2016. The programme looks to further the development of young talent and to encourage the participants to establish themselves at an international level in the future. Ammodo supports this programme from the National Opera to make a contribution to the development of young opera talent.